If you’re looking for some inspiration of kindness, then you need to take a ride with Yellow Cab Driver Mr. Joseph Darius Taxi 189. His ultimate act came one night when Joseph had to put to test his C.P.R Certification knowledge that he learned in the class offered at Yellow Cab. His Passenger and he were having a great conversation about life turns, when he noticed that he had turned blue in the back seat. 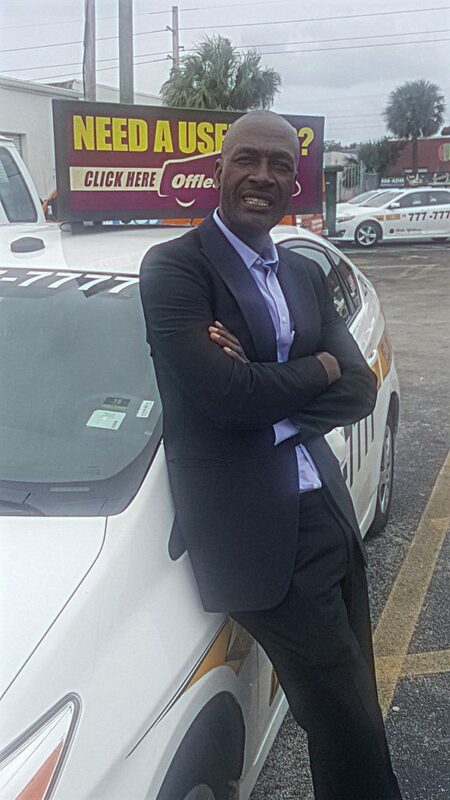 While dialing 911, Joseph pulled out from the taxi and placed his passenger on the ground and started his CPR technique’s to try and bring back his passenger. 911 stayed on the phone with him while they waited for the Ambulance to arrive on scene. Once there, the emergency crew took over and praised Joseph for his quick thinking and ability. As the Ambulance took his passenger off to the hospital to recover, Joseph was thankful that he was there to help and proclaims that he was not a hero. He believes that he was just put in the right place at the right time when others needed his help. Joseph always tries to set an example for his children to treat everyone with kindness & respect not because they are nice but because you are. Joseph also enjoys giving his time helping others at the various shelters around Broward County.